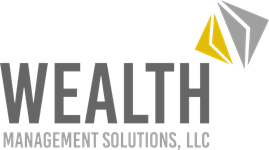 Founded in 2003, Wealth Management Solutions uses an independent, comprehensive service approach that we call WMSCare. WMSCare ensures that we’re providing the right services and solutions at every stage of our clients’ financial lives. First, it gives us a framework for identifying the financial concerns that are common to your life stage and unique to your particular situation. And unlike other planning approaches, it also helps us identify previously undiscovered potential issues around everything from your health and employment to the way you make decisions to your tolerance for risk. We use what we learn to ensure that we apply the right people, processes, systems and services to your unique situation. At every life stage, we work closely with you to deliver the appropriate solution for where you are and where you want to be.